Sometimes we have to go to a place where there is no internet connection or if there is a slow. In this way, your phone’s connectivity will end. By the way, you have to face many difficulties without having internet. One of these troubles is not watching YouTube videos. If you have a passion to watch the videos and you have faced this problem, here we are telling you the solution to watch YouTube videos without Wi-Fi or data. Through this trick, you will be able to view YouTube without Wi-Fi or Internet data. Let us know that the YouTube feature of YouTube was launched in 2014. With its help, users can use Youtube instead of Wi-Fi or Internet data. Follow these procedures to watch YouTube videos without Wi-Fi or data. Step 1. First of all, you have to open YouTube. Then search any video that you want to see. For this, it is mandatory to have an internet connection in your phone. Step 2. Open the video. Tap the Download button at the bottom of the video. Step 3. When you click on this, you will be asked to select Video Quality. You can select it according to your Choice. Step 4. After this you can go to Library and tap on Download to watch the video without any internet connection. Keep in mind these videos will remain for 30 days, after which it will be deleted. At the same time, for the YouTube users, the company has started the online music streaming service YouTube Music and YouTube Premium in India. As soon as YouTube Music launches, users have many options like Spotify, Amazon Music, Jio Saavn, Gaana, Airtel Wynk, to stream free online music. Recently, the world’s largest online music streaming service, Spotify has also stepped into India. 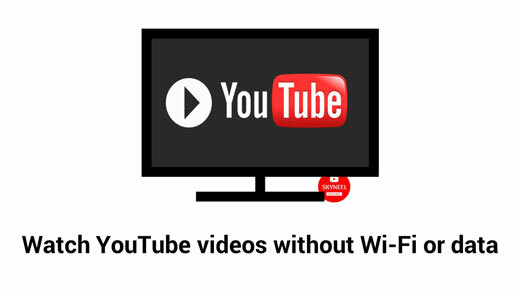 In this article we have told you about watch YouTube videos without Wi-Fi or data. If you liked this article then you can also like our Facebook page and subscribe to our YouTube channel too. If you have any problem related to this article, you can comment and tell us.